Join artist Abdullah M. I. Syed for The Art of Trade and share your skills – whether they be in lifesaving, the Australian citizenship test questions, or another area of expertise. If your personal knowledge is deemed worthy, you will be paid by the artist for your services. 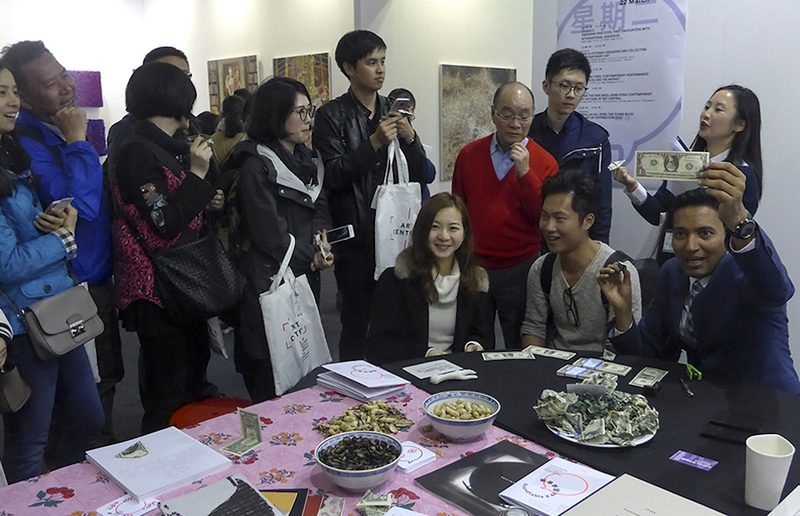 In this work, as with all Flying Buck Exchange performances, an immediate surface playfulness disguises more complex renderings of the dysfunctions of global market economies, the dissemination of power, and intrinsic neo-colonial concerns, the US dollar bill becomes a powerful instrument of addressing the micro and the macro.